What Do We Mean by App Design? Understand the basic principles of designing an Analytics app. Understand how those principles are reflected in the elements of an Analytics dashboard. Understand the high-level app design process. It’s an exciting day: Your first on the job as a Salesforce admin for DTC Electronics. Little did you know, your new job will take you through the process of a design makeover. Starting with the initial version of a single-dashboard app, you’ll separate its good, bad, and ugly aspects using basic design principles. Then you’ll make it more useful and better designed. By the time you’re done, you’ll have working knowledge of a process you can apply to your own app and dashboard designs. And you’ll see the same dashboard completely made over by Salesforce designers. Walking into DTC headquarters today, all you know is that it’s your first real day on the job. You’ve spent the last 2 weeks ramping up in orientation and meetings with your predecessor. Now it’s your first Monday on your own in charge of DTC’s bright, shiny Salesforce org. Speaking of bright and shiny, your predecessor showed you an app she developed in her spare time. She used Einstein Analytics to create an app meant to give sales managers up-to-the-minute information on all their reps’ activities. She called it The Motivator, since she thought it would help keep the team on track. She hasn’t told the team about it yet, and she believes it can be an early win for you. Eager to get to work, you fire up Analytic Studio and open The Motivator to its Sales Team Activities dashboard. Maybe you can show it to the sales VP this week and get off to a flying start! The app is actually a single dashboard with lots of data! The simpler the better, right? You can see the team’s activities divided by type: call, email, event, and task. There’s a way to filter by owner name so you can see who’s done what, and you can view activities by account. Plus you can see numbers according to priority and a rollup at the bottom of completed and overdue activities. This can be a useful way for managers to keep teams motivated by tracking what their reps are up to, recognizing top performers, and coaching those who aren’t doing enough. But what do you know about tracking and motivating the sales team? It looks like your predecessor had some fun and used lots of Analytics Studio features, and even though it looks cool, it doesn’t appear to be that useful. You notice right off the bat that there’s no way to know the time period for the activities, and it’s hard to spot the menu that lets you view activities by each rep: Owner Name. And you’re betting each regional manager wants to be able to view activities just for their geo. You decide to get a few folks on the sales team to look at it posthaste—or risk wasting time on something that won’t help the business. Without knowing it, you’ve taken the first step on your design journey. You saw that your predecessor made something with potential that’s not completely on target. You started to ask questions about how it can be made more useful. Now you’re about to take the steps to get answers. Here at Salesforce Analytics, we’ve formulated a strategy for you and others in your boat. You may not think of yourself as a designer, but as soon as you start creating an Analytics app or dashboard, you have to think like one. If you don’t, you risk creating something that doesn’t help your team. And if you do, you can think big and solve problems in ways that can inspire you and your users. Clarity. Eliminate ambiguity from your app experience. Clarity enables its users to see, understand, and act with confidence. Efficiency. Anticipate how users will make their way through app features to streamline and optimize workflows. This helps users work faster, smarter, and better. Consistency. Use the same names for the same things, similar graphic elements to represent the same parts of data and the same app actions, and similar sizes for elements of equal importance. By applying the same solution to the same problem, you create familiarity and strengthen your user’s intuition. Beauty. Reward your busy users with thoughtful, elegant craftsmanship. There’s a lot of competition for their time and attention! 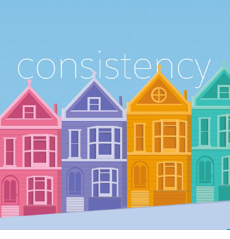 Applied together, these principles breath life and responsiveness into every interaction between your users and your app. Users can enjoy a fluid experience that feels natural, and they’ll come back to your app over and over again. Before proceeding further down the design road, let’s define some basic terms: app and design. An Analytics app is a collection of assets that together serve a business purpose. 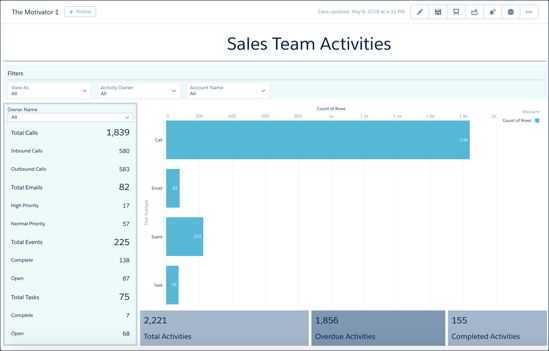 For example, the purpose of the Salesforce Sales Analytics app is to give everyone on the sales team a fast, intuitive way to get insights about Sales Cloud data. Analytics app assets include a dataflow and a collection of one or many lenses, dashboards, and datasets. You can learn about them by following the links to Salesforce Help and Trailhead in the Resources section at the end of this unit. Load data into datasets and format/transform it so it works in Analytics. Create explorations from the datasets—lenses that let you visualize data metrics for analysis and action. Save sets of explorations into dashboards that show a clear path through your data. Save assets into an app where together they tell a complete, coherent story. You can also learn more about app development from the links in the Resources section. What do we mean by design? Each stage of the development process requires you to apply design decisions: what data to include, how to arrange it, what dimensions and measures to use in explorations, and so on. In this module, we talk about app design, that is, the decisions you make as you determine who your users are, what they need, and how to present an app’s contents to them. By necessity, this is pretty thought-intensive, because it’s mostly about the decision-making process you follow before you start to build an app. We also give you a few examples of applying design decisions. One more thing: An app is defined as a set of assets that serve a purpose, which can take multiple dashboards or just one. The app you’re going to work with consists of just a single dashboard. We can decide over time that The Motivator needs additional dashboards. But we’re going to focus on just the one in this module. 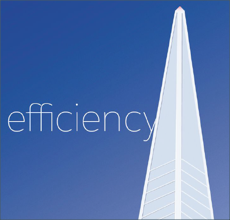 The clarity-efficiency-consistency-beauty design principles sound simple enough. But how do you use them to make The Motivator useful for your team? We all typically think of design as just the way something looks. But, to quote Steve Jobs, “Design is not just what it looks like and feels like. Design is how it works.” Apps that work well require deep thinking about how they’ll be used. Too often, though, folks like us start with the surface considerations of software—its colors, fonts, branding, and overall aesthetic appeal. And if we have fancy presentation tools like Analytics charts and widgets, we love to use them just because we can. But if you don’t think below the surface, the most attractive colors, tasteful fonts, eye-catching graphics, and cool charts might be wasted on the user. Think of The Motivator. On the surface, it looked interesting. But some of its elements weren’t in a useful place, others don’t belong at all, and some are missing. And it all needed some polish. Determine an app’s audience and purpose. An app takes the user on a journey. You need a clear picture of each step in that journey and of what awaits the user at the end before you do any development work. To get that, you need a thorough understanding of who your audience is and what they need. And you need to know your app’s purpose—the goals your audience hopes to achieve by using your app. Conceive the structure of the app. What boundaries do you put around app features and content so they serve the app’s purpose, and how do you organize them into a logical flow? 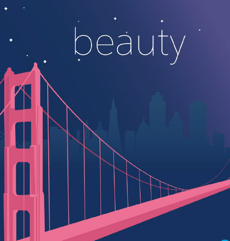 A well-structured app makes the user’s journey a process of exciting discovery. Discovering an app’s content and features needs to follow a logical plan, one that’s easy and even fun. Choose the correct surface elements. What signals do you place along the way to make the user’s journey as fluid as possible and help users choose the right path through the features? What aesthetic choices do you need to make to increase users’ emotional attachment to the app? What visual elements can reward users for accomplishing their goals? 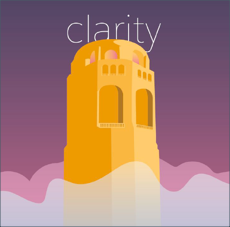 As you proceed along your journey, you’re going to learn how to think “deep.” We take you through the process we just outlined and give you practical exercises along the way that you can use in your own app design and development. Together, we apply that process to The Motivator to show how deep thinking can convert it from something that just looks great to something that actually is great. By the end, you’ll have the tools you need to design your own great working apps. Explore with Analytics Trailhead module. Analytics Dashboard Building Basics Trailhead trail. Get Started Using Analytics from Salesforce Help and Training.